Nicole R. Moshang, Esq. and Maria C. Salvemini, Esq. This year practitioners and the regulated community will see how the natural resource damage (NRD) initiative that New Jersey kicked off in late 2018 will shape the law concerning NRD claims moving forward. NRDs compensate the state for injury to natural resources. In August 2018, New Jersey’s Attorney General announced the filing of three lawsuits seeking NRDs—Pohatcong Valley Superfund, Port Reading refinery, and Deull Fuel Company—touting the move as a “New Day” in the state’s environmental enforcement. The state announced the filing of another NRD lawsuit, the Puchack Wellfield matter, in December 2018. These four lawsuits are the first NRD cases that New Jersey has brought in a decade, although the state has publicly committing to pursuing additional NRD claims in the coming months. The state’s commitment to pursue additional enforcement claims, including NRD, is buttressed by the organizational changes recently announced at both the state’s Attorney General’s Office (AG’s Office) and the New Jersey Department of Environmental Protection (NJDEP). 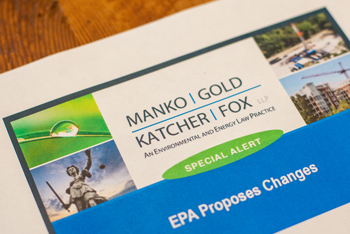 Specifically, the AG’s Office announced the creation of an Environmental Enforcement and Environmental Justice Section to handle the anticipated uptick in environmental enforcement actions. In addition, NJDEP announced the hiring of Shawn M. LaTourette to serve in the newly created position of Deputy Commissioner for Legal and Regulatory Affairs, who will be tasked with overseeing the revival of NJDEP’s efforts to recover NRDs. It seems likely, however, that NJDEP will be confronted with many of the same or similar legal challenges it faced in pursuing its earlier NRD initiative. Indeed, several early motions were filed in the three earliest filed NRD cases primarily challenging the scope and viability of the state’s common law claims seeking NRD. For example, defendants in the NJDEP v. Hess Corp. case (relating to the Port Reading refinery) moved to dismiss the state’s trespass and strict liability claims, and to dismiss the public nuisance claim to the extent it sought monetary relief rather than abatement. In December 2018, the Superior Court granted with prejudice defendants’ motion to dismiss the trespass claim, holding that the state did not have a claim because it lacked exclusive possession. With respect to public nuisance, the court found that the state could not recover monetary relief as a remedy because the only available remedy was abatement. Moreover, the court found that the state’s strict liability claim failed because there was no binding New Jersey authority to support the proposition that the storage and processing of crude oil and refined petroleum products constitute an abnormally dangerous activity and that the state’s strict liability claim was otherwise subsumed by its claims for statutory relief and remedy under the New Jersey Spill Compensation and Control Act. There are also motions to dismiss on similar grounds pending in the Pohatcong Valley and Deull Fuel matters, which are scheduled for oral argument in early 2019. The four NRD lawsuits will likely have a significant role in shaping how NRD cases are litigated in New Jersey. Some of the anticipated legal challenges may be addressed through ongoing legislative efforts focused on developing objective standards for evaluating and calculating recoverable NRDs. Specifically, Senator Bob Smith convened an NRD Task Force comprised of NJDEP officials, industry representatives, NRD practitioners and environmental advocacy groups in the summer of 2018. The purpose of the Task Force was to develop suggestions on topics such as NRD policy and how to value NRDs. Although the state developed a formula to calculate groundwater injury previously in connection with its first NRD initiative launched in the early 2000s, it has been rejected by the courts (see NJDEP v. Exxon, Mer-L-2933-02 (N.J. Super. Law Div. Aug. 24, 2007)) and there are currently no regulations regarding how to calculate NRDs. At the December 2018 NJICLE Annual Review of New Jersey Environmental Law, representatives of NJDEP publicly announced that that they are working to finalize an objective formula for calculating NRDs, at which point NJDEP intends to vigorously pursue NRD claims. While the scope and precise form of New Jersey’s NRD enforcement initiative is yet to be seen, it is certain that NRDs will be a factor in New Jersey for the foreseeable future and that the regulated community and practitioners should certainly be considering potential NRD impacts in their transactions and site remediation efforts.